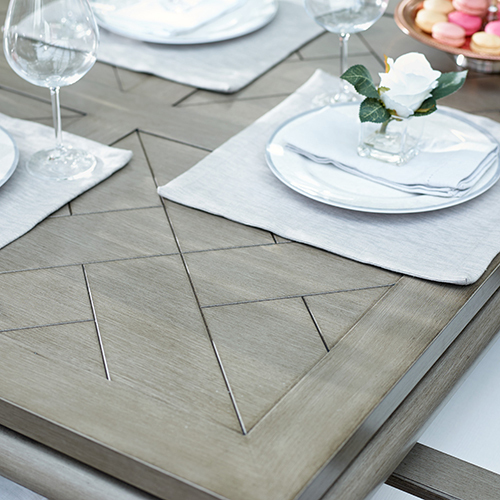 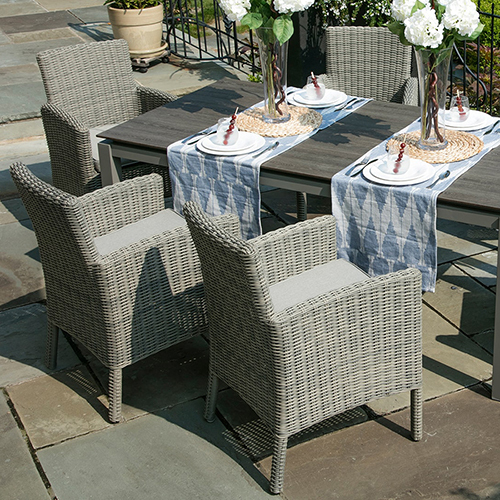 The Greenville collection features a classic design that incorporates some of the industries leading manufactured materials for ultimate strength, durability, and resilience to typical wear and tear. 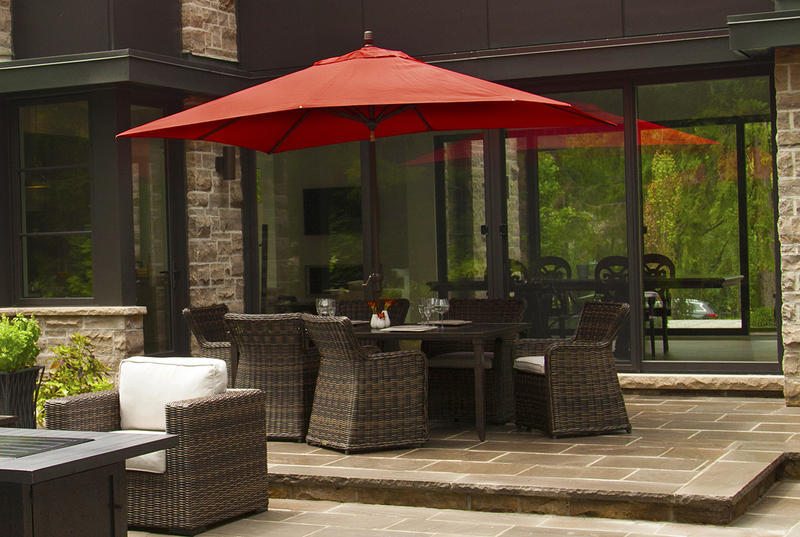 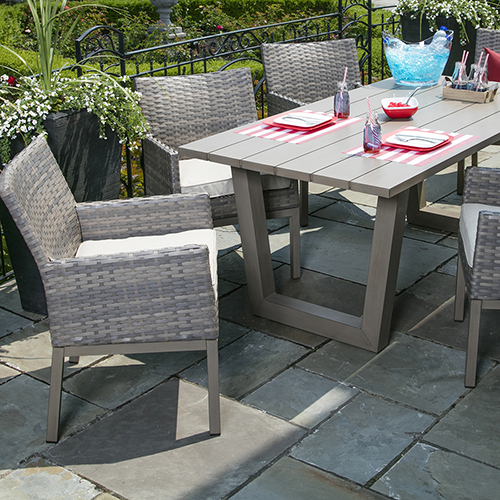 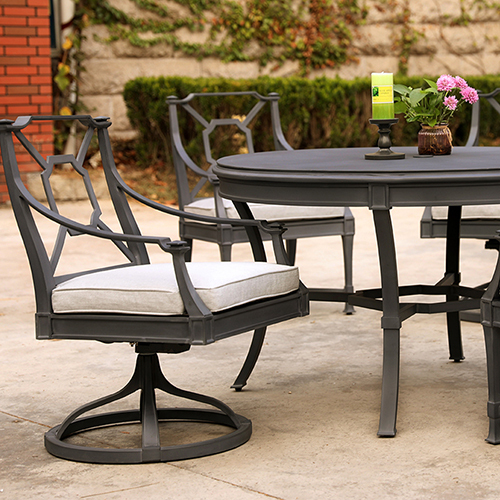 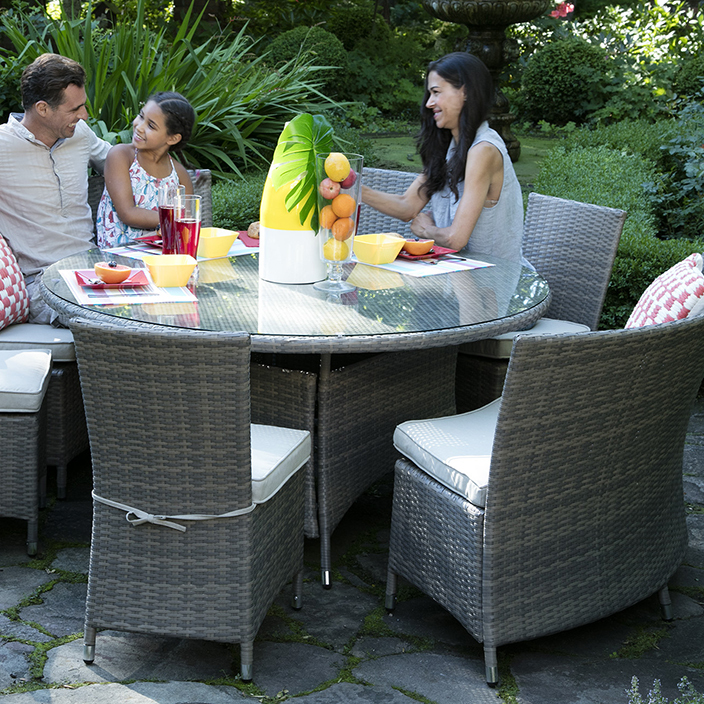 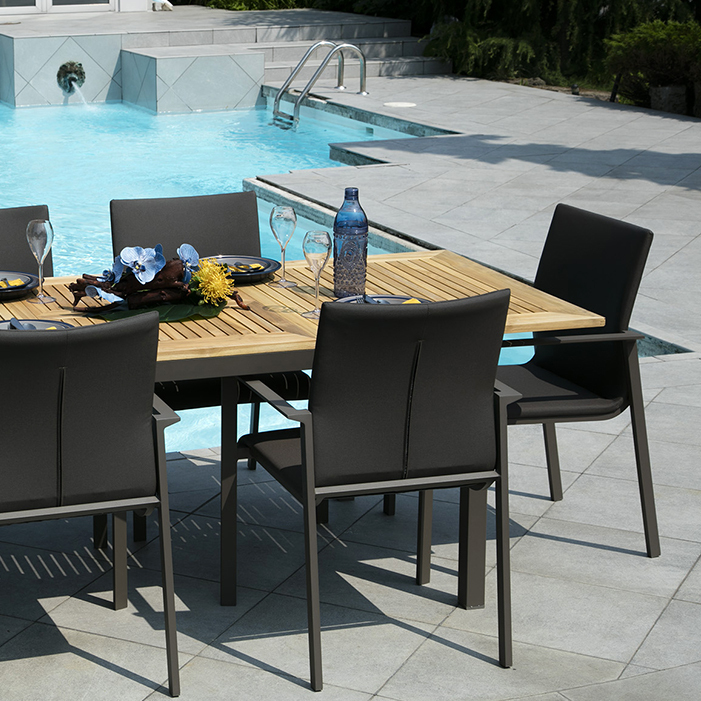 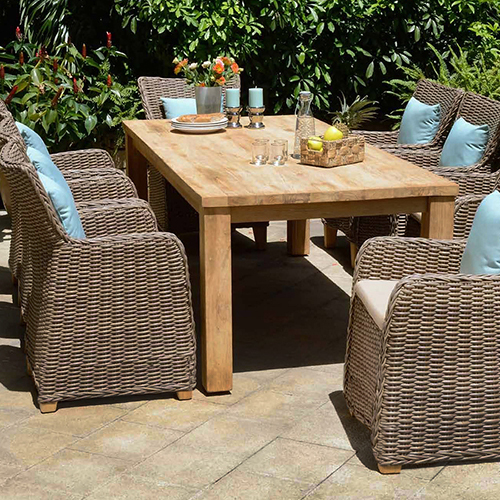 The Greenville boasts a beautiful long lasting wicker wrapped around a durable and rust proof aluminum frame. 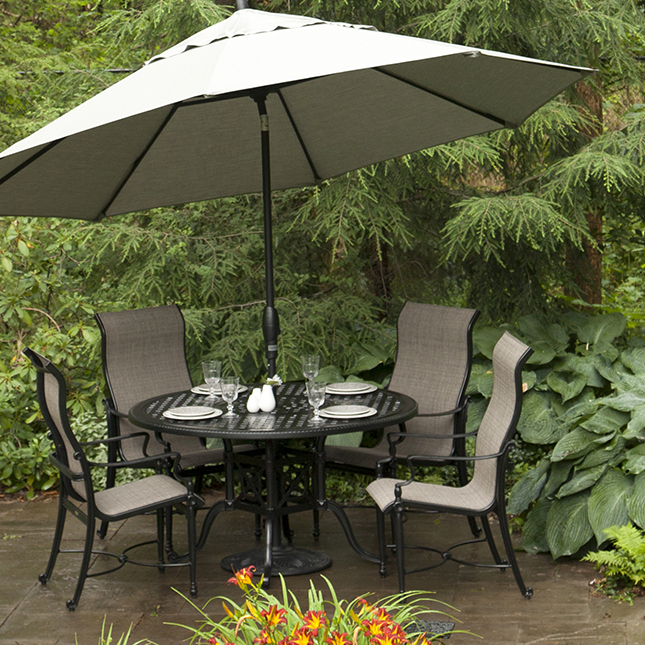 The Sunbrella fabric protects your cushions from mold, mildew, and moisture and also features non-fading and water resistant protection. 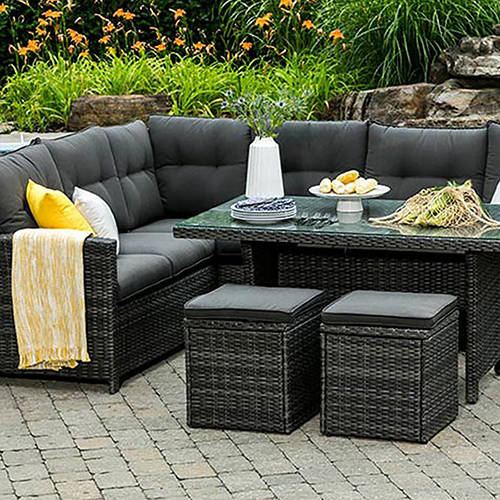 This collection offers dining options with beautiful high back resin wicker wrapped chairs and elegant and clean dining tables, as well as deep seating options including a lounge chair, sofa, and loveseat. 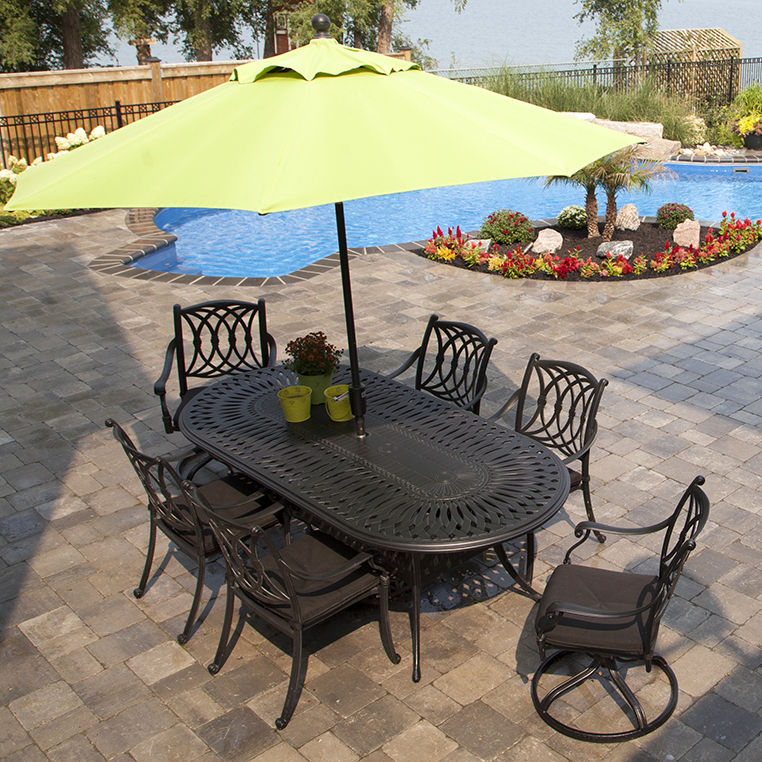 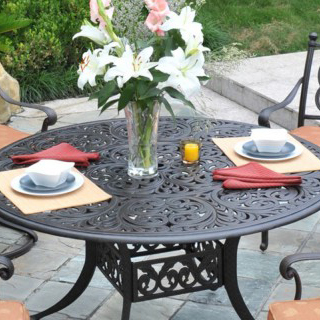 Create your perfect backyard oasis with any combination of items.